At the time of updating this introduction in October 2018, I had spent over 6 years learning and gaining experience and skills in internet marketing and social media marketing. I have also been coaching and mentoring people of all ages and in numerous countries in the developed world for the last 2 years in online marketing skills and have gained great satisfaction from seeing many of those people grow in confidence and success as they developed and applied their new knowledge. I am also using that knowledge to help mature people through my authority website designyournewlife.com/ to create a source of additional ongoing passive income in their spare time, to enable them to maintain their current lifestyle throughout their retirement years. When it comes to making additional income, the internet has created an infinite number of new opportunities that we couldn’t even have imagined 15-20 years ago. In fact, the internet and communications revolutions are having a bigger impact on humanity than the industrial revolution had on the agricultural age that had lasted since the dawn of man. Whatever your personal reasons might be, the Internet has created an infinite number of new ways to earn additional income in your spare time. Maybe you are just tired of working for someone else, the pressure and stress of the corporate rat-race, long hours working and commuting, a lack of job security, and being too busy to spend quality time with your family or doing the things you loved to do. Or maybe you want to start creating an additional source of income for your retirement. That’s what I created my DavidAmeronline.com website to do, help people like you to make a real change in your life. Through my website I provide comprehensive information, educational articles and ongoing updates to new products, opportunities and developments in the internet and social media marketing worlds, as they occur. In this new age, your only limitations are your own beliefs about what you are capable of doing. You will also learn how to get rid of those limiting beliefs, which were never real in the first place. Corporate career of over 25 years, held senior financial positions in large corporations, mid-sized companies and new start-ups, in multiple industries in 6 countries, including Chief Financial Officer (CFO) of 3 “Top 100” companies in Australia. As General Manager responsible for all functions including marketing, sales, finance, HR, IT and operations, recruited and coached high-quality sales teams that achieved exceptional results in 2 most recent companies. As Managing Director of Australian Kitchen Industries (AKI), my team and I grew the business from annual sales of $12 million and a loss of $2 million, to sales of $65 million and profit of $4 million over a 6-year period. For the last 6 years, working online from home, gained extensive Social Media and Internet Marketing skills and Business Coaching & Mentoring experience. Using FaceBook paid ads, Google AdWords, Bing Ads and top social media platforms to generate leads and sales. I have learned (sometimes by making mistakes) how to build and grow successful and sustainable businesses, to prepare business plans and implement them. In recent years I experienced some significant setbacks in my personal life, which lead me to make fundamental changes in my life. In July 2012 I decided to make a complete change from my corporate career, which spanned over 25 years of my life. that they can harness the power of the internet and modern communications and computer technologies to create opportunities that, just a few years ago, would have been unimaginable. I will provide you with all the information, guidance and tools you might need to make the most of your life; to take action to generate additional passive income and to make your life and the lives of your loved ones more fulfilling. I am a keen Entrepreneur and Personal Development Freak. I am committed to continuing learning and growing. Most important in my life are Family, helping other people to create a better life for themselves and their families and preserving the Planet and it’s diverse Wildlife for future generations. I have been a keen bird watcher all my life, and a scuba diver for over 25 years. I feel blessed to live in Australia, probably one of the richest places in the world in wildlife, both above and below the sea, allowing me to continue to be active in these interests. I have been fortunate to have had an exciting and fulfilling life to date and in the process, I have gained much experience and many skills that will continue to enable me to continue to contribute going forward. I have overcome major setbacks, in my career, my health and my relationships and I am now happier, healthier and less stressed than ever before. My vision is to use my own journey, business skills and my more recent internet marketing skills and experience to help people of all ages, around the world to design and live a better life for themselves and their families. Change is always possible, with the right mindset i.e. the DESIRE to make positive changes, FAITH in your ability to do so (and believe me you can), and the DETERMINATION, and COMMITMENT to stick with it, to take ACTION until you succeed. So, if you are ready to move forward and you are serious about trying an online business, the best way is to get some structured training on all aspects of online marketing to see which platform resonates most with you and start by getting good at that. I have been doing this now for over 6 years and have tried a lot of options that didn’t work out for me. But I now use as my main base and recommend to others is the most successful online training program available right now. It’s called My Lead System Pro (MLSP) and has been around for over 10 years. 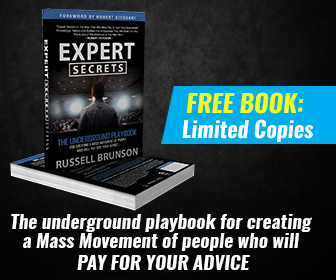 It’s got the best video training and high-quality free trainings on every social media platform, and eBooks you can literally give your customers and prospects access to as a lead magnet. Its very powerful, and no other company does this. Only cost is $50/month subscription. This will get you more leads and make your list more loyal and proactive if you use the free resources and free training provided. And for every new person you bring in using their training, you get $14 a month commission ongoing. So 3 new enrolees and your ongoing sub. is covered. Pretty cool hey!I look forward to helping you succeed on your online journey.